Our panel share their tips on improving outbound dialling in the contact centre. Penetration reports are essential to dialler administration, as this will give a clear view of the dialler performance on the contact list, as well as the dialler infrastructure. Be intelligent with the way you use your data. Make sure your dialler manager is looking for trends in penetration/sales, and sort your data in the most optimal way. This can make significant percentage gains. Transition time is a key measure. The analogy I use is that moving from call to call is like cornering in Formula 1 – too slow and you won’t succeed, too fast and you lose traction (focus) for accelerating into the next straight (next call). Whenever we get a customer response that praises an agent’s performance, we post the “shout out” on the board in the lunch room. Agents are constantly trying to get their name posted, and we’ve found it to be a very popular motivational tactic. Review your reports to check Best Time to Talk (BTT), and improve utilisation and dialling accordingly. When you know you’ve got a tough day ahead, get everyone a hot sausage roll to perk them up a bit. I also tend to find that lucky dip incentives work well. Use the call recordings from your best performers to inspire and pull up any struggling consultants. Let agents assess their calls with Quality Assurance to get them to acknowledge their development areas. Try not to clutter the agent desktop solution with too much unnecessary information. This can lead to longer hold times or dead air, which means less time is spent getting through the lists. Get your agents to design the KPI report. The more input they have in the design, the more likely you are to achieve buy-in when using them. Set up Call Blending for the Calling Line Identity (CLI) number left when dialling. This should increase your contact rate, as outbound calls returned by customers via this channel go to your best-skilled advisors. This can improve KPI figures. Who knows your business better than your people? As they are speaking to the customers anyway, they can get information on the competition at the same time and it’s cheaper than using an external company. Use time off the phone or go home early as an ultimate incentive for over-performers. But always agree in advance when they can take this, so that it suits the needs of the business. List penetration is key to the continuous running of campaigns, and an agent utilisation dashboard is important when monitoring agent productivity. In addition, RPC rate/Conversion reports are key for analysing the performance of campaigns and planning future ones. And a real-time abandoned rate dashboard is probably the most important one for any dialler manager. Blending can work well. But only if all involved understand the different forms of blending – especially senior management. 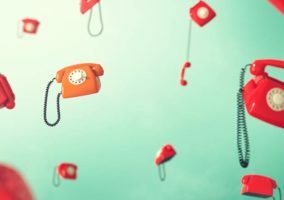 In addition, you should make sure that outbound performance on high-value campaigns is not impacted by low-value inbound call handling. You also need to ensure that the thresholds are set right. Team-based incentives tend to work well. For example, pitching Team 1 against Team 2 in a sales competition can generate good results. This is because it allows people to work as a team towards the target and generally improves overall productivity. 17. The best first sentence always includes a question – doesn’t it? The best first sentence always includes a question – doesn’t it? This is because the customer feels compelled to answer and you therefore successfully start a conversation! Introduce “Fruity Fridays” to keep your agents motivated with surplus amounts of fruit on a Friday. 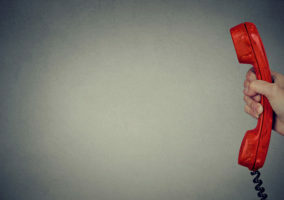 What do you do to improve outbound dialling in your contact centre?